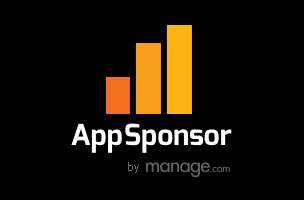 Manage.com’s AppSponsor.com has announced the launch of its software development kit (SDK), which brings playable ads to mobile apps. AppSponsor’s mobile native-focused supply-side platform focuses on giving developers some of the highest eCPMs in the industry, with these playable ad units reportedly increasing eCPMs by up to 50 percent when compared to more traditional ad formats. Using the SDK, app developers can integrate playable ad units to their apps. These ads offer a 30-45 second demo version of the advertised app, with support for games, shopping and news apps, chat platforms and more. At the end of the demo, users can download the full app from Google Play or the App Store. Ads can be targeted to specific users, based on information from Manage.com’s data management platform. AppSponsor’s SDK is similar to Agawi’s AppGlimpse program, which also offers ads in the form of instant interactive demos. AppSponsor’s playable ads SDK is available on iOS and Android, with support for Unity 3D, Adobe Air and Corona coming next month.